My Milestag microMT lasertag is coming along nicely. 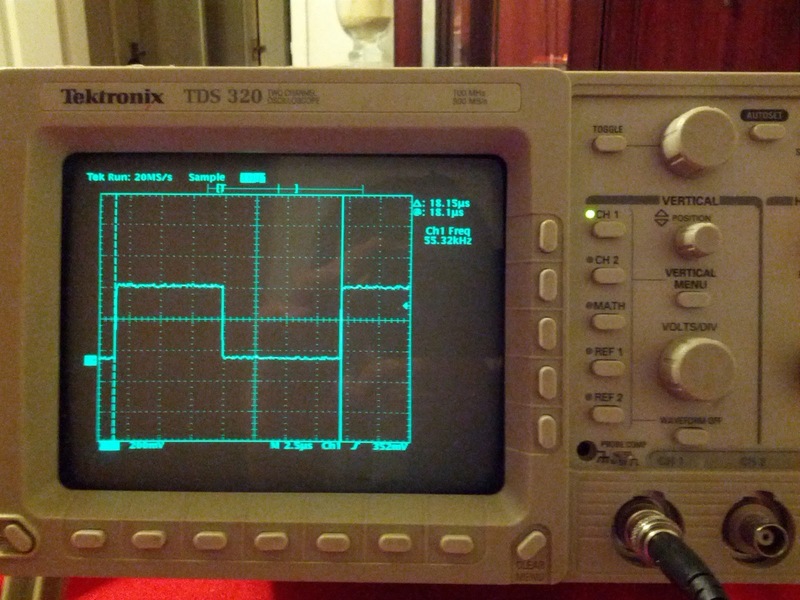 The infra red signal needs to be modulated at 56KHz to match the TSOP4856 sensors that are used to detect hits. I'm using the inbuilt PIC16f684 PWM to generate this frequency. Not bad for a first attempt. I've already written the Milestag protocol transmit routine, but I tested the timings by simply turning a port output high or low as described here. 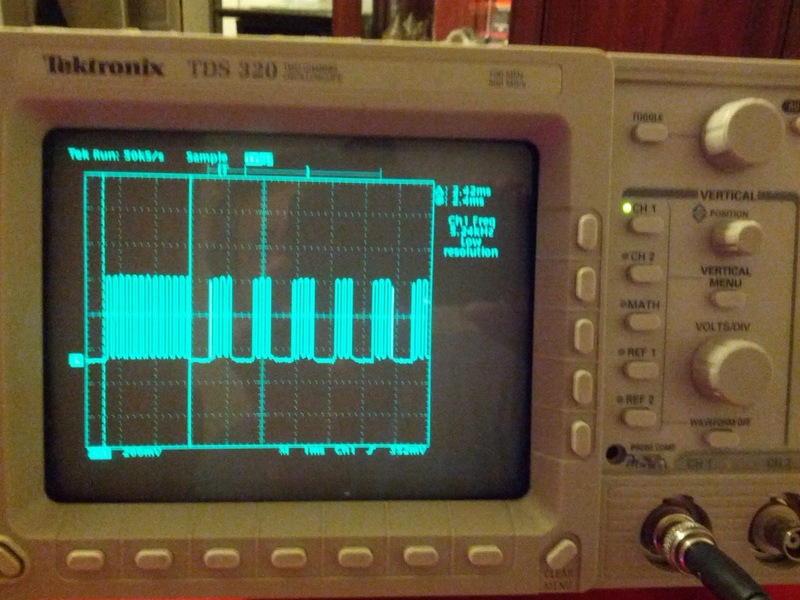 I replaced the port on off code with PWM on off code and got exactly what I wanted. 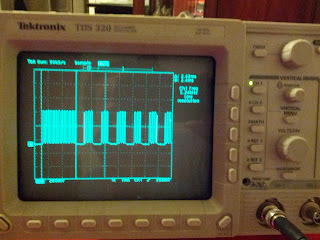 Timed IR pulses modulated at 56KHz. When I tested my shot packet against another lasertag unit, the second unit picked up the shot packet and seemed to interpret the shot power consistently, but with an incorrect shot power value. I need to look into this next.